This holiday season, enjoy holiday classics from Lance Luce performing favorites such as White Christmas, Silver Bells, Winter Wonderland, Let it Snow, The Christmas Song, Sleigh Ride, Brazilian Sleigh Bells, Mary’s Little Boy Child, and other carols. Holiday Classics Organ Concerts will take place Friday, December 21 at 7 p.m. and Saturday, December 22 at 2 p.m.
Lance Luce is an internationally acclaimed theatre organist, who has played hundreds of concerts all over the United States, Canada, England and Australia. 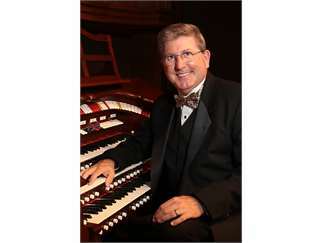 In 2014 he was awarded Organist of the year by the American Theatre Organ Society. Most recently he became the head organist for the Detroit Red Wings at the new Little Caesar’s Arena in Detroit. He has played concerts for numerous chapters of the American Theatre Organ Society and other affiliated theatre organ groups and clubs. He has played for National and regional conventions of the ATOS in the United States and TOSA in Australia.